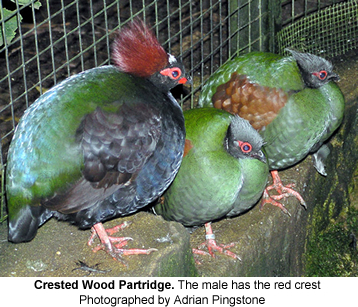 Partridges are birds in the pheasant family, Phasianidae. They are a non-migratory Old World group. These are medium-sized birds intermediate between the large pheasants and the small quails. The partridges are ground-nesting seed-eaters. Many species are hunted for sport or game.